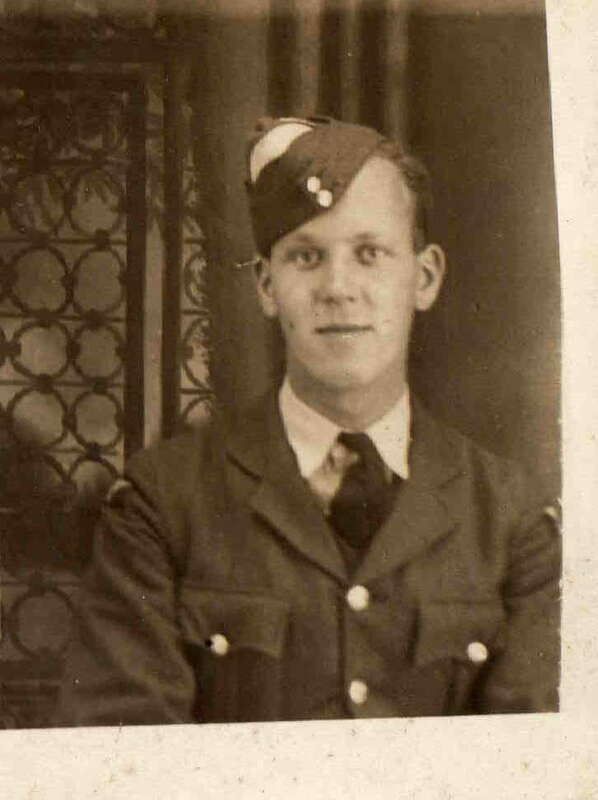 F/Lt P J M Prangley and crew were the first 550 Squadron crew lost on operations. 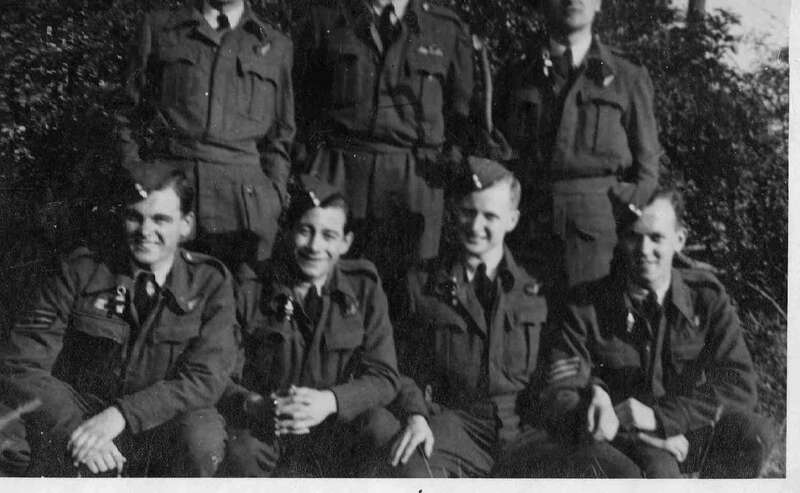 However it was a slightly different crew that was flying on 26/27 November 1943 on the raid on Berlin in LM379 when it was lost very shortly after the squadron had been formed. 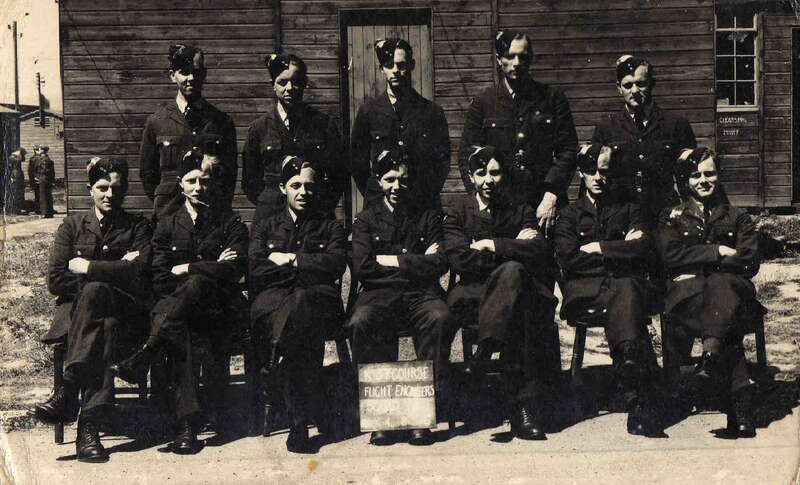 In fact the Squadon was still flying out of Grimsby and had not yet moved to North Killingholme. 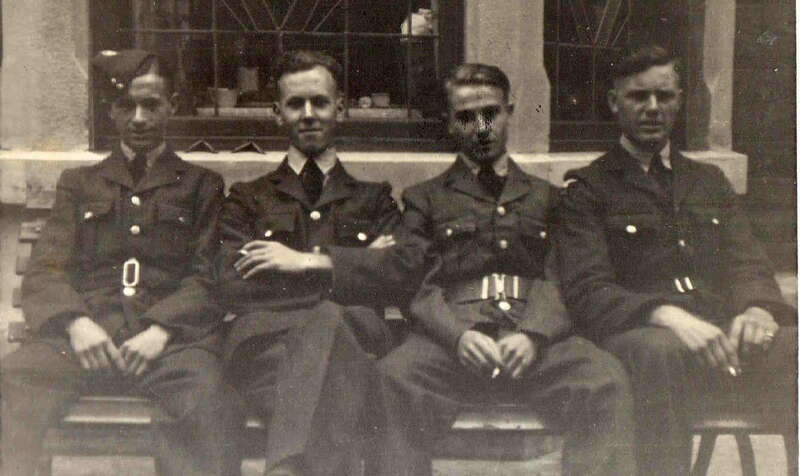 Two of the crew (P/O Lowe and Sgt Smith) survived as PoWs, but the remainder of the crew were killed. 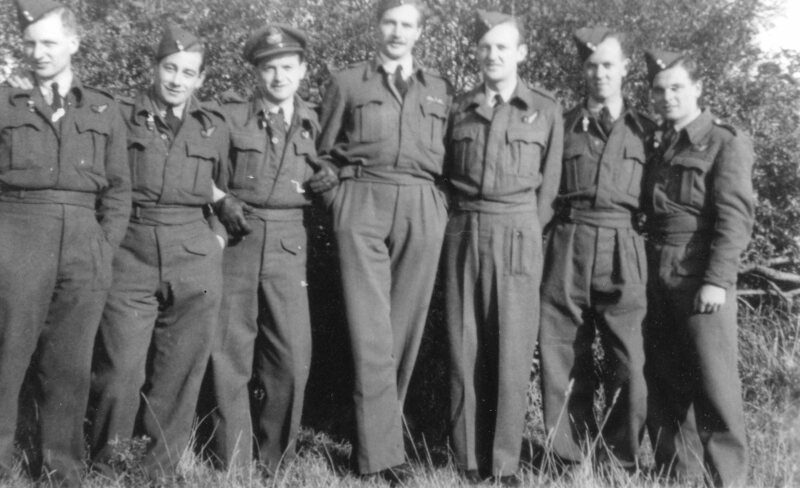 L to R "Ginger" mid upper gunner, "Myself" wireless operator ("Chuck" Changler), "George" navigator, "Pete" Pilot, "Jake" bomb aimer, "Ken" flight engineer, "Chis" rear gunner. The following photograps and information have kindly been made available by Rodney Ward (a nephew of Kenneth Ward the F/Eng in the crew). There is some information about this aircraft because research into the complete Berlin raid has been extensive, and for most of the aircraft it has proved possible to establish their crash sites. It is likely that the aircraft was set on fire at 21.52 hrs local time by Flak (1.-3./128, 2./390, 3.+5./370, 3./535 and 3./808) which were claiming one Lancaster at Potsdam-Wildpark. At the same time (21.52 hrs) Lt. Josef Kraft II./NJG 5 had a four engine aircraft (without further details) confirmed claim. So it is "very likely" he shot at LM379 as well. No positive identification of the crash site is available. For the night in question most of the exact locations of the night-fighter force were lost (not transferred onto microfiche) and so it is only possible to say "very likely" about night-fighter claims, but exact details about flak claims are available. During this raid LM379 was the only one which crashed in the vicinity of Potsdam and the flak battery claimed just one hit over Potsdam. There is this night-fighter claim from Josef Kraft at the same time as the flak battery made their notation. However, flak claims are generally more exact because they sent teams to the wreckage to confirm the downed target. Thanks to Jörg Helbig for providing the Assocation web-site with results from his investigations.